offers, does that mean you will be flipping burgers at McDonalds or calling random leads at a telemarketing company asking if they would like another high interest credit card? Well, it doesn’t have to be. That is unless you enjoy minimum wage and working with immature high school students. In this article MyCanadianUniversity.com will reveal to you 20 killer strategies that you can start doing today to obtain a valuable co-op internship in Canada. Internship in Canada strategy #1: Visit the career section of the companies that you are interested in. Start with the companies that you are most interested in working for. At this stage you will probably work for any employer as long as it’s an office environment. If that is the case, start with the biggest and baddest companies you know. Esso/ Exxon, Shell, Petro-Canada etc. As the saying goes: Black(oil) is the new gold. Rogers, Bell, Telus: Telecommunications companies are always hiring. Especially co-op and internship positions. RBC, TD Bank, CIBC – Banking is beautiful if you are interested in accounting, and finance. But they also hire IT students. The above are just the tip of the iceberg guys, there are hundreds if not thousands more companies that could be put on that list and each of those companies hire students on a regular basis. 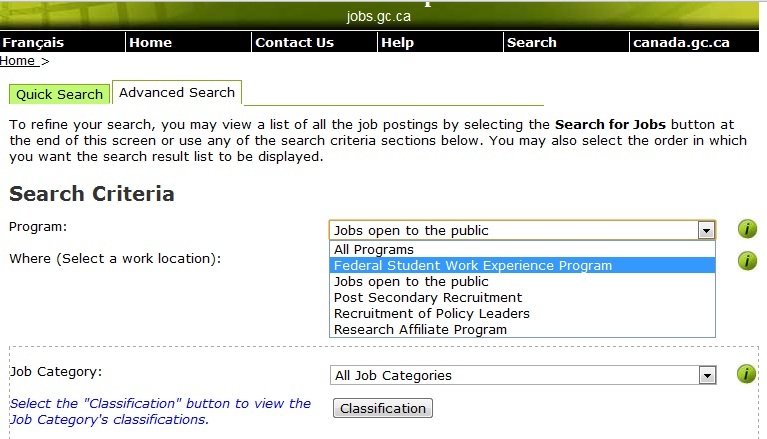 Internship in Canada strategy #2: Federal Government. Traditionally the Government was developed to actually help people, not screw them over. In this case, this is actually true. The Government of Canada is the single largest employer of students in Co-op/ Internship programs. It hires approximately 3000 students each year and frequently partners with academic and private institutions to ensure students receive valuable work experience. You will see a search page similar to the image below – search away! When does the FSWEP recruit? What kind of job can you expect to get? 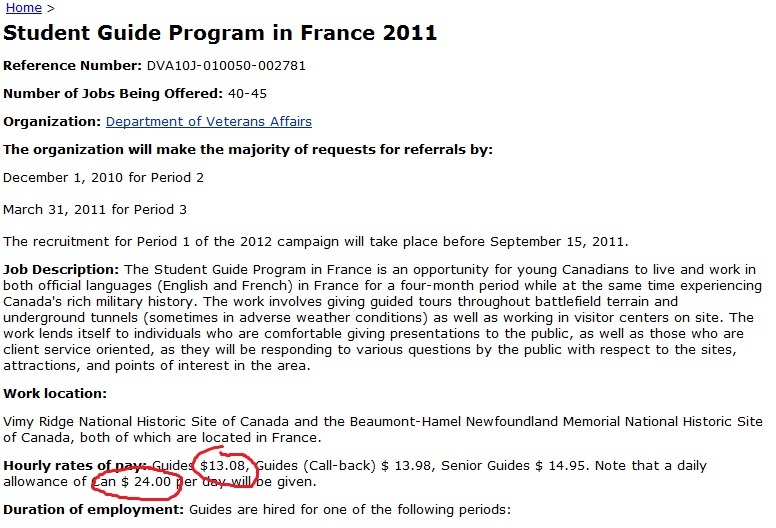 You read that correctly, you can go to France – get paid almost $14/ hour and $24/ day “daily allowance”. The Research Affiliate Program (RAP) provides post-secondary students with opportunities to conduct innovative research. Whether your academic program includes supervised laboratory, field or social science research as a requirement for your academic degree or graduation, or whether you are interested in carrying out research in addition to your academic requirements, RAP could be the perfect opportunity for you! Sounds great, but are you eligible? This is only for those folks in Ontario, but OLG provides fantastic experiences to students who are seeking co-op/ internships experiences. I understand that you may not be from Ontario, if that is the case take a look at your provincial government’s opportunities by searching their respected websites. 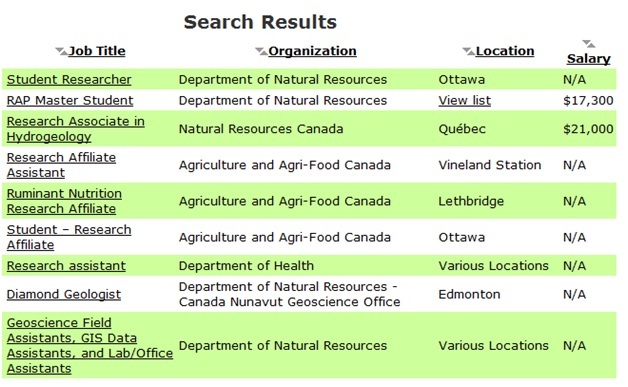 The Ministry of Natural Resources of MNR for short provides post-secondary students or recent graduates the opportunity to work as ecologists, biologists, systems officers, resource technicians for key Natural Resources projects. Well, there you have it six killer resources for you to chow on to obtain the internship or co-op experience this year. It can be a lot of work because you have to keep checking for opportunities frequently. I personally bookmarked all the above links and visited them daily until I secured an Internship. Moreover, your resume and cover letter have to be ready to go. So start working on those as soon as possible. Having your key documents ready will allow you to apply to jobs without having to worry about the deadline. Hi, Thanks! I applied to various positions through the links above and I landed a co-op job!! 2. The articles Strategy #1 is gold! Hi, saw some co-op opportunities for Bell, OLG and Federal Government so I applied to all of them 🙂 – keeping my fingers crossed!